Virginia Brittany Rescue View other Brittanys for adoption. ****Born 2/26/2016, Tucker recently graduated from a 12 week inmate training program where he was taught basic commands on leash, crate trained, and housebroken****I call TUCKER by a couple of other names! Monkey for one and Mr. Misunderstood for another! I love this boy! He is very smart, loves to cuddle and loves to play! He enjoys playing fetch! But make no mistake! You give Tucker an inch and he will take a mile! He needs an owner that he will be firm with him yet can love and appreciate the dog he is. He will bond with his owner and will rule their life if allowed! Tucker is very vocal and can make sounds I have never heard from a dog before. Thus the name Monkey! I call him Mr. Misunderstood because some people have thought of him as being an aggressive dog. He does have a stubborn streak and has a mind of his own but this is one of the most fun and loving dogs I have ever been around! TUCKER is housebroken, neutered and up to date on vaccines. 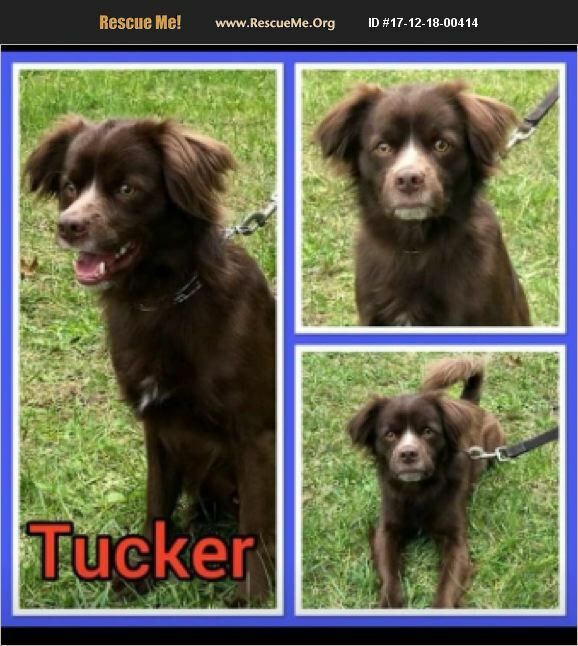 If you think you are the right fit for TUCKER message PAWS of SWVA for details.